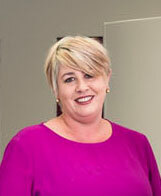 Michelle’s hair studio is a contemporary salon in Masterton, specialising in both traditional and modern hair styles. We are centrally located in Masterton, Wairarapa, with parking at the rear for our customers. Our goal is to provide a relaxing, refreshing and friendly atmosphere where we can concentrate on helping our clients look and feel wonderful. We are open all year round and are happy to provide you with free consultation regarding your requirements. 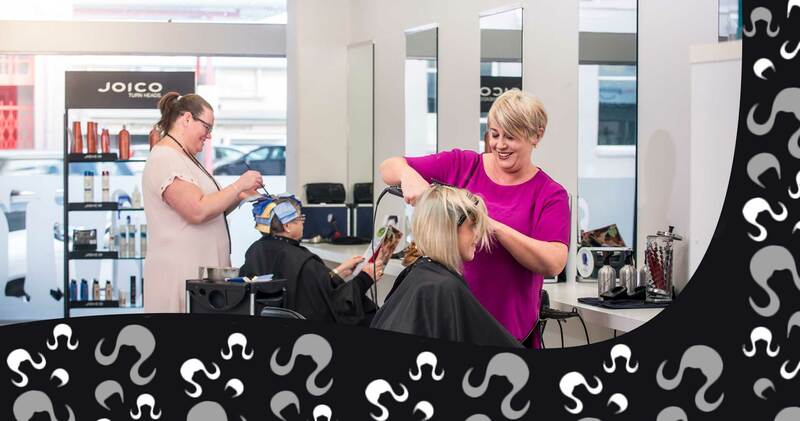 Our stylists provide a full range of hair services including colour, straightening, hair extensions and curls, to name but a few. We enjoy working with our clients to provide great on trend and manageable results. 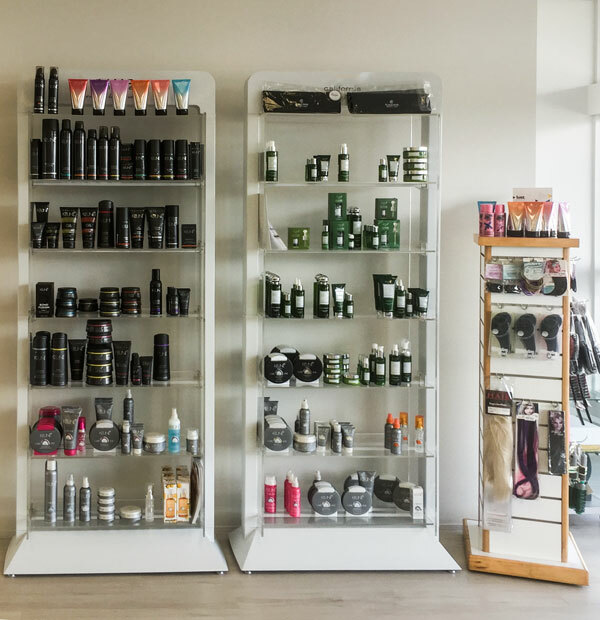 Our stylists will give you advice on how to recreate your look at home and what products might help you ensuring that you always look your best. 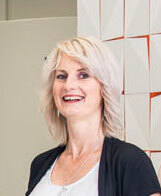 I have owned the salon for 17years and been in the industry 24years. 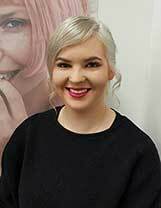 I have competed in lots of hairdressing competitions over the years and enjoyed the creativeness in creating fantasy styles that you don’t do in the salon on a day to day basis. I specialise in creative colours and cuts and Hair extensions but love all aspects of hairdressing and love helping my clients feel fantastic about themselves. And I love educating my clients in how to manage their style at home with correct home hair care products and give them advice on how to achieve the look at home themselves. In my spare time I hang out with my 6year old son Lucas, and when time allows I ride my horse and occasionally compete her in dressage. We all keep up with the industry trends and what is happening with style changes overseas in Europe and love bringing the latest trends to our clients. 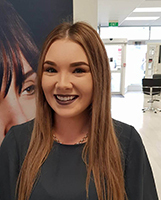 We are constantly up skilling ourselves with technical colour training and practical skills by attending seminars and training days that are often run here in the salon or in wellington. Hi im brooke, I have been in the hair industry for 7 years & loving it! I love all aspects of hairdressing, but colouring is my favourite. I dream of one day travelling over seas to see a bit more of the world, but for now i am loving working in my hometown. I was born and raised here in Masterton & I love everything it has to offer. I enjoy walking at henley lake, i also don’t mind the odd bit of gardening & cooking, three of my fave activities i like to do in my spare time. I have been hairdressing for over 20 years, I love that not every day is the same in our industry. I joined the team at Michelle’s in September 2015 and am enjoying my time in the lovely newly renovated salon. I constantly upskill myself by attending all the hairdressing seminars and training days I can get to ,as this is a forever changing industry and its important to keep update on the trends. In my spare time I am a volunteer firefighter for the Masterton station, and when I’m not there I am at home on our lifestyle block with my husband and 2 beautiful children. I joined the team at Michelles in March 2018 as a third year apprentice. I enjoy being in the hair industry, as each day is never the same, I learn new things all the time and I love meeting new faces and seeing our regular clients. In my spare time I love going on adventures, road trips, exploring and relaxing at home. I enjoy spending time with my husband, family and with friends. I occasionally help out with the holiday programme at Equippers Church. I came to work at Michelles in October 2017 as a year 1 Apprentice. I will be gaining my Year 2 at the end of this year. Since being at Michelle’s I have grown as a hairdresser and as a person. I am constantly up-skilling by attending the many Keune training days. I chose the hairdressing industry because I love making people feel 110%. In my spare time you will catch me spending time with family, friends and my partner. 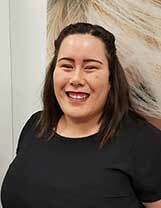 I enjoy playing sports and play in the social team in Pahaitua, I also fit in social netball as well and if time allows I enjoy horse riding.